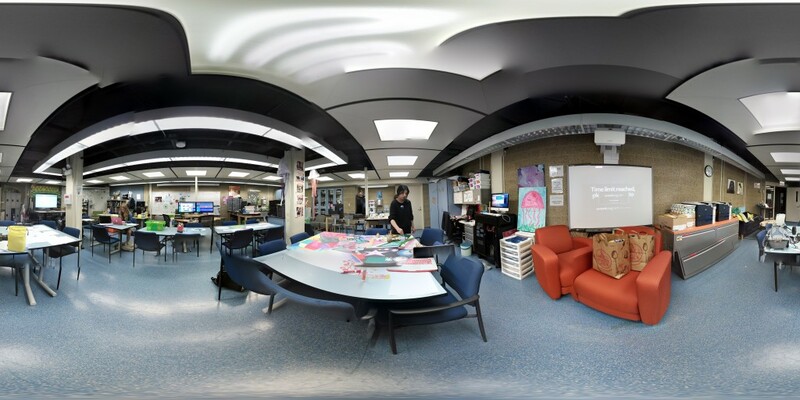 The Teen Learning Lab is an innovative space developed by teens for teens that creates a hub for students to hang out, play around and geek out by meeting other science-minded friends and peers while also having access to modern technologies. Promoting the exploration of environmental education and STEM fields, it is this combination, STEM and the arts, that differentiates the Learning Lab from other zoo and aquarium programming, demonstrating true innovation. Teens working with a mentor, like Maddie from our Great Lakes and Sustainability team, tackle projects like sustainable seafood (#ShareYourChops) and citizen science wildlife monitoring using apps like iNaturalis and Great Lakes Fish Finder. Students toggle back and forth from singular explorations to group investigations to partnerships, mentorships and collaborations within Shedd and externally. To facilitate the emergent needs of teens visiting the lab, staff serves as connectors, not traditional educators. They listen, assess needs and suggest a suite of resources to help guide them, including technology, social media outlets and experts in a variety of E-STEM and STEM-related fields. 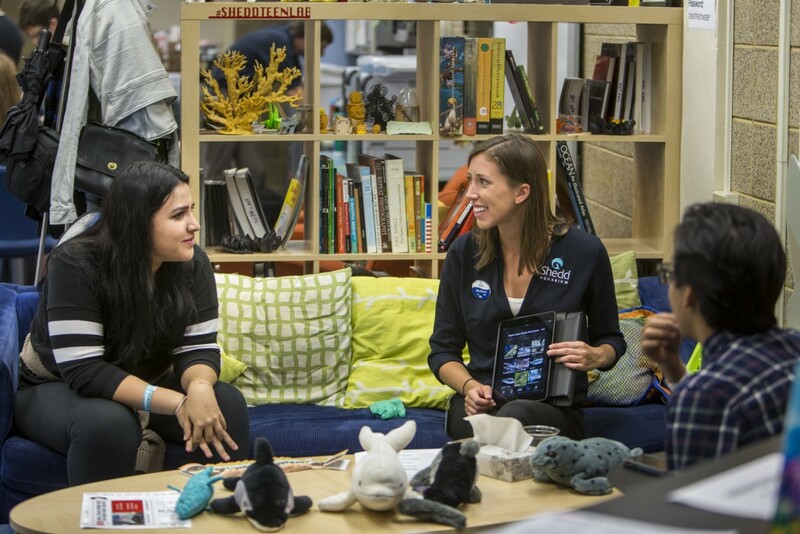 The importance of technology and art in careers at Shedd Aquarium often surprises teens who visit the Teen Learning Lab. Teen Learning Lab staff leverage technology to create connections, including linking teens with experts digitally and encouraging them to join online citizen science projects. To introduce new career fields to teens, mentors from various departments at Shedd Aquarium work with teens in the lab and demonstrate unique technologies helpful for animal care and conservation. 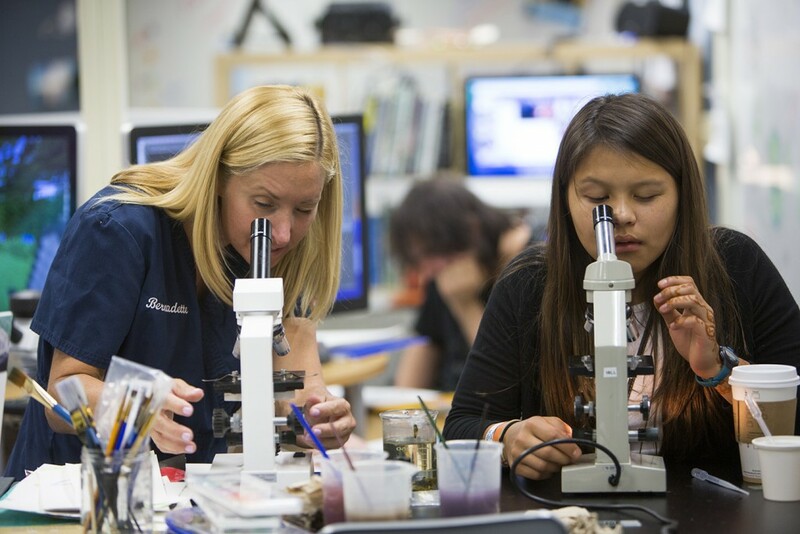 Through this inventive approach to mentoring, teens have hands-on access to digital microscopes, underwater remotely-operated-vehicles (ROVs), 3D printers, Google Glass, videography equipment, vinyl cutters, infrared scanners, aquarium systems, sewing machines and a variety of other tools used in animal care and conservation every day at Shedd Aquarium. 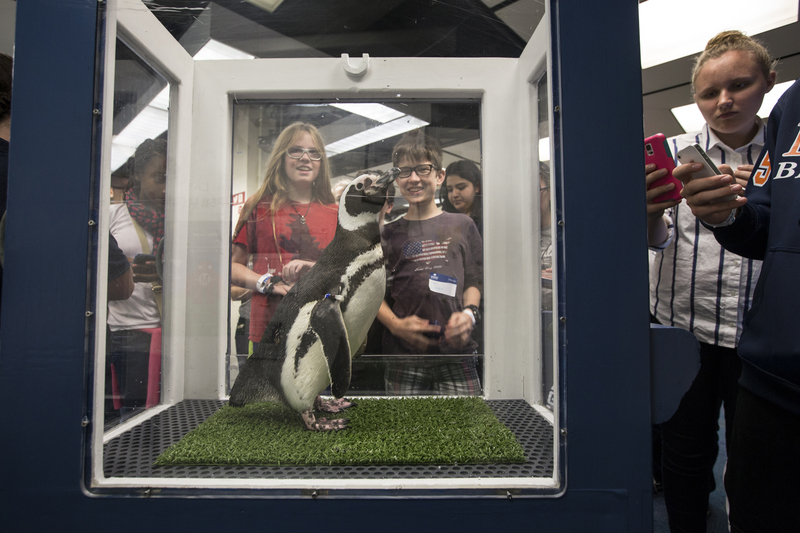 Teens bring their passion for the animals, including the occasional penguin who visits the Teen Learning Lab, to their own research, design and conservation projects. Ultimately Shedd Aquarium, by brokering resources in the Teen Learning Lab, hopes to build the very next generation of E-STEM innovators, contributing to our mission to connect people to the living world, inspiring them to make a difference – and helping to ensure the protection of life in our oceans, lakes, rivers and streams for years to come.